The pre-schoolers who watched the fast-paced shows did much worse on the thinking tests than those in the two other groups, who scored about the same. The researchers suspect that the brain gets overtaxed or tired from all of the stimulation from the fast-paced cartoons leading to lower scores. But what this means for children long term is still an open question. Several other studies have found a link between heavy television viewing and problems with children's attention spans, especially in young children, while others have not. Some researchers are concerned, however, because the ability to concentrate and not get distracted often shapes how well children do in school. Preschoolers watch at least 90 minutes of TV a day, according to the study, but other researchers estimate young kids watch between two and five hours of TV daily. The American Academy of Pediatrics (AAP) recommends parents "limit children's total media time (with entertainment media) to no more than 1 to 2 hours of quality programming per day" and "discourage television viewing for children younger than 2 years" entirely. This new study is published in the journal Pediatrics, which is a publication of the AAP. "We can't tell you definitively from a scientific standpoint what the long-term effects are, but this one small study – if it's confirmed – is suggestive that this could be a real problem," explains Dr. Dimitri Christakis, director of the Center for Child Health, Behavior and Development at the University of Washington in Seattle and author of an editorial in Pediatrics. Christakis and other researchers say, that when children's brains, which are still developing, are bombarded with too much stimulation, it can interfere with their ability to learn to focus properly. He suggests that parents keep an eye on what their children are watching. "The point of this study and a lot of other research in media is that what your kids watch is as important as how much they watch. It's not just about turning off the television, it's about changing the channel," says Christakis. Nickelodeon, owned by Viacom International, which produces the cartoon "SpongeBob SquarePants," released the following statement to CNN when asked about the study. "Having 60 non-diverse kids, who are not part of the show's targeted demo, watch 9 minutes of programming is questionable methodology. It could not possibly provide the basis for any valid findings that parents could trust." It pointed out that the SpongeBob cartoon is designed for 6- to 11-year-olds, not 4-year olds, like the children used in the new study. But Christakis says the research methodology is solid and though the study is small, its design is stronger than previous research and the findings are significant. "The important take home message here is that the content of viewing actually matters. 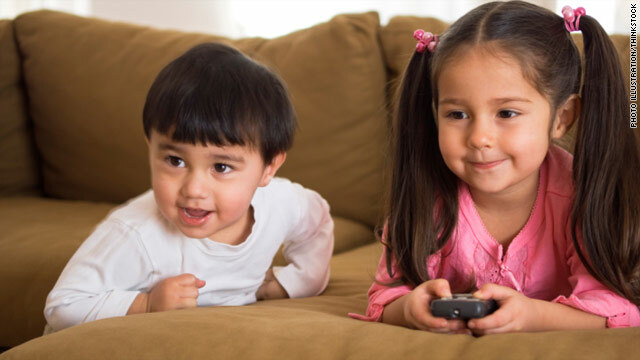 Many, many parents have rules about the quantity of programming their children watch but far fewer have restrictions on what they watch," says Christakis. I am 14 and I've watched SpongeBob for ten years, I am in eighth grade, two years ahead in math (geometry) and am in honors. I always have at least a 3.5, and my attention span in school is great. SpongeBob is my second favorite show (next to BBC's Doctor Who) and I don't have any reason to believe that SpongeBob has any negative effect, or at the very least, on me. Same here. I'm graduating 6th grade and my grades have always been A's (sometimes a few B's) and now I'm in compacted math for middle school, (by 8th grade I'll be learning 11th grade math) and I watched Spongebob since I was 6 months old. Сайт любящих мам Карапузик рад всем читателям нашего замечательного и полезного вебресурса. Материнство – это лучший и в тоже время очень ответственный период. Вы ожидаете пополнения семьи, и вы готовитесь к этому главному и серьезному факту в вашей жизни, тогда наши публикации помогут ответить на возникающие вопросы. Каждому отрезку жизни мамы и ребенка посвящена своя рубрика. В разделах вебсайта вы найдете статьи на все темы, которые могут вас заинтересовать. Если у вас уже появилось долгожданное чудо, то посетите нужные странички. Вы узнаете, как правильно ухаживать за младенцем, какие детские заболевания чаще возникают, что может тревожить вашу прелесть. На страницах вебресурса можно смотреть любимые мультфильмы со своими малышами. Если вы задумались над тем, какое вкусное блюдо приготовить семье, то зайдите в раздел с рецептами. На сайте есть форум мам, где каждая женщина может общаться с такими же как она, и задать интересующие вопросы опытным родительницам. Мы всегда рады всем гостям нашего ресурса. Приходите на сайт клуба мам Карапузик за ответами на вопросы! Watch many cartoons and movies for baby, Toddlers and Childs on Zaphut.com! People are so small minded, especially scientists, they develop a test that is made to confirm their theory. How about that Theory the Input of the Cartoon is quote:" suspect that the brain gets overtaxed or tired from all of the stimulation" ; well lets interpret this in another way. Brain Ressources are used to connect memories and make sense of given material from the cartoon -> for Example Sentence "A" from min 2 is affecting the lest 3 Minutes of the Show -> therefore the Child has to memories or tries to memorize given sentence "A" and the brain is ( nevertheless thats what a brain does) connecting that input with all given information / Things thath happened -> therefore the Show may get a "twist" -> so u gotta recap what happened. The Brain is still analyzing or "working" long after the cartoon is down, like a background task on your PC. And equally to a CPU (afterall the Human Brain is the Goal for Scientific CPU research, the CPU is designed after the human Brain) it CAN NOT run the active Task (like say a Game of Memory) at 100%, because there is another background task running which uses up ressources. Thats what i mean wiht smallmindedness, sure alot of TV is taxing and if youre kid is supposed to use its ressources otherwise u gotta keep that "Ressources" in check. But bluntly saying CARTOONS are bad is ridicolous. I am typically to blogging and i really admire your content. The article has really peaks my interest. I'm going to bookmark your site and keep checking for new information. узнайте цену красивого ремонта 3-ех комнатной квартиры под ключ от лучшей компании по ремонту помещений в Нижнем Новгороде – Артель-МПК?